In three articles we are exploring using Toad for Oracle with Oracle Database Exadata Express Cloud Service. 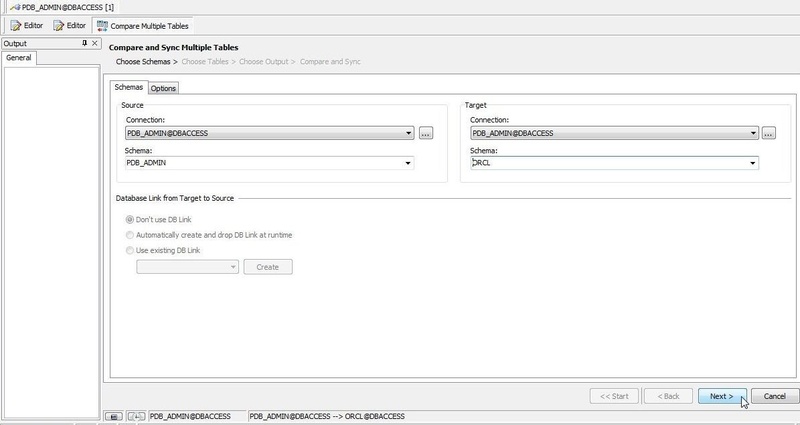 In the first article we created an Oracle Database Exadata Express Cloud Service instance, which includes an Oracle Database 12c R2 instance. 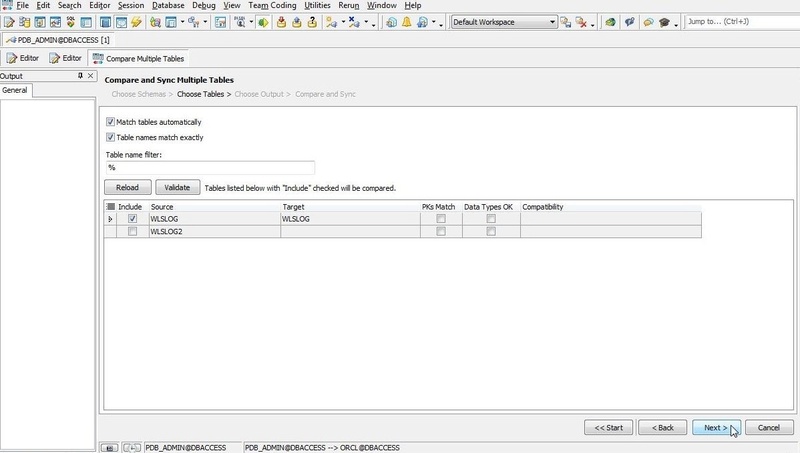 In this continuation article we shall discuss connecting to the database with Toad for Oracle, creating tables, and comparing tables and schemas. This article has the following sections. To create a connection select Session>New Connection as shown in Figure 1. 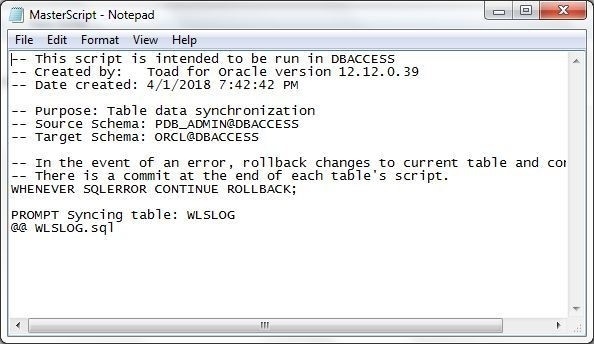 In the Toad for Oracle Login select the TNS tab and specify a User/Schema (PDB_ADMIN) and the Password for the admin user as configured in the first article. 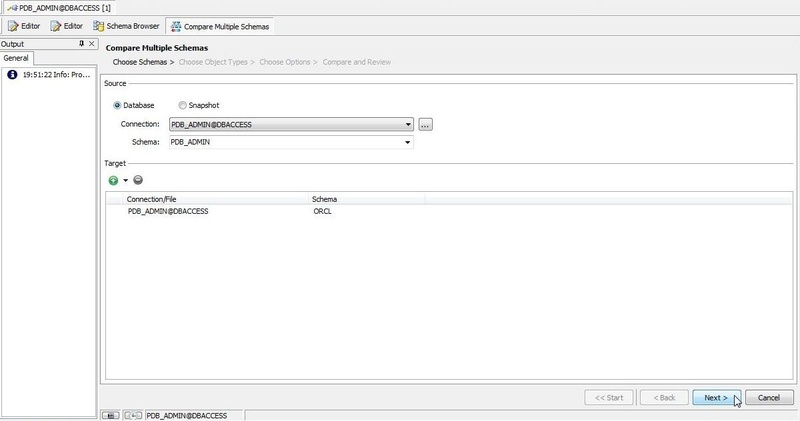 In Database select the dbaccess net service that is configured in the tnsnames.ora, as shown in Figure 2. Click on TNSNames Editor to display the tnsnames.ora entries as shown in Figure 3. A dbaccess net service is generated automatically. The credentials zip file downloaded from the Oracle Exadata Express Service Console includes a tnsnames.ora file in which the dbaccess net service is generated automatically and configured. This dbaccess net service gets listed, as shown in Figure 4. 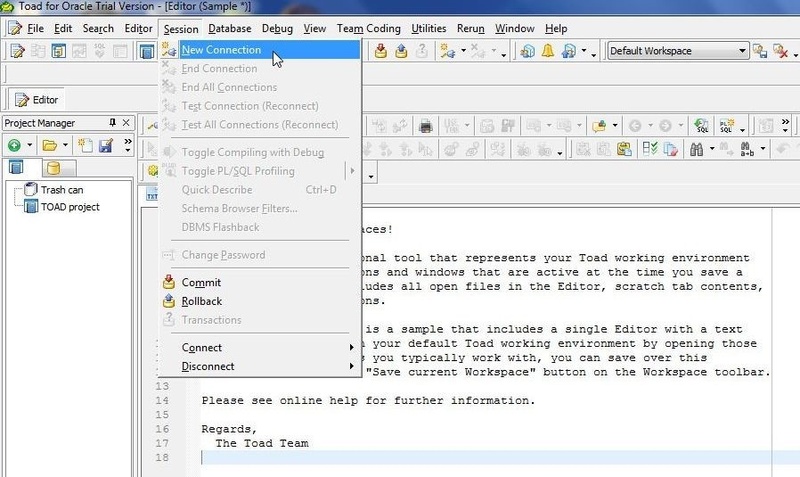 Click on OK to close the TNSNames Editor. 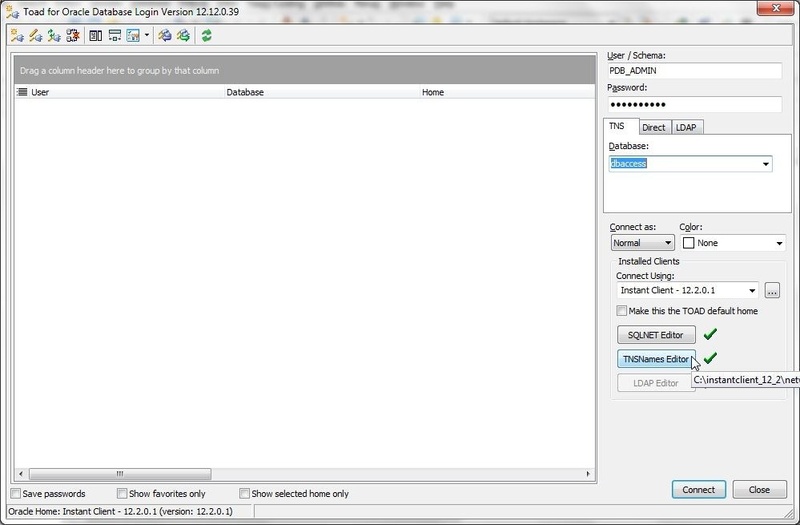 Click on Connect in the Login dialog as shown in Figure 5. 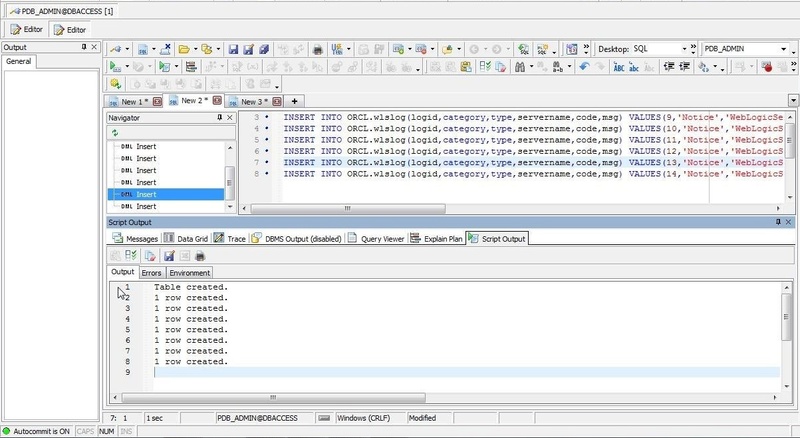 A connection gets created and added to Toad for Oracle as shown in Figure 6. 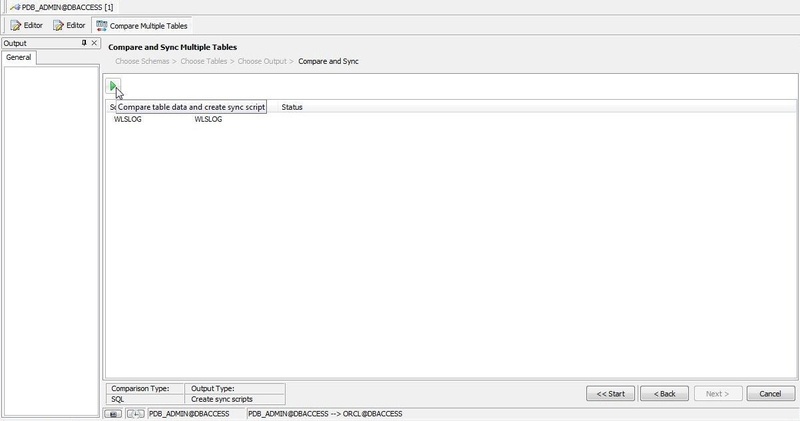 To create an example table copy the following SQL script to an SQL Editor. Click on Execute as Script as shown in Figure 7. A Processing Script dialog displays the number of the statements run, as shown in Figure 8. A table gets created, as indicated by the Script Output messages shown in Figure 9. Because AutoCommit is ON the SQL statements get committed. We shall be demonstrating comparing tables; for which, create another table. 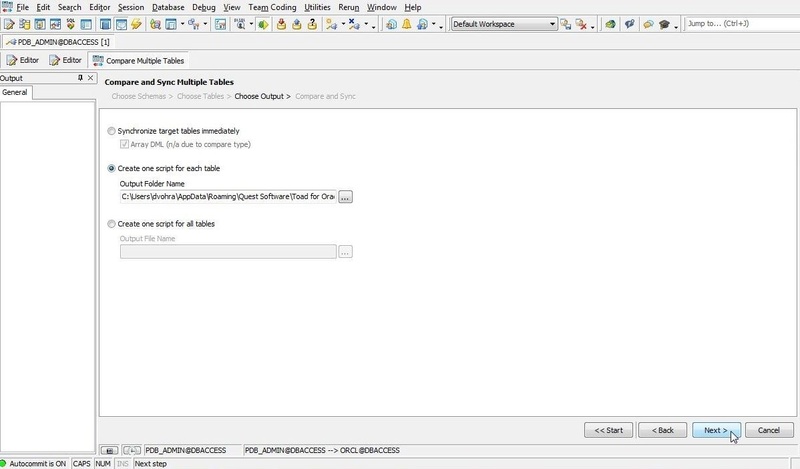 To start another SQL Editor select Editor>New Tab>SQL Style as shown in Figure 10. 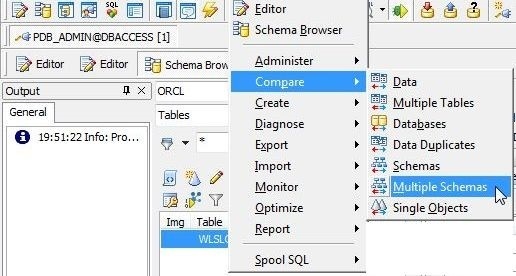 Copy and paste the following SQL Script to the new SQL Editor to create the wlslog table in the ORCL schema. By default, tables that are to be compared must define the same columns, and the setting may be modified, as discussed later. 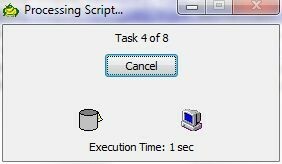 Click on Execute as script as shown in Figure 11. Table wlslog gets created in the ORCL schema, as indicated by the Script Output in Figure 12. 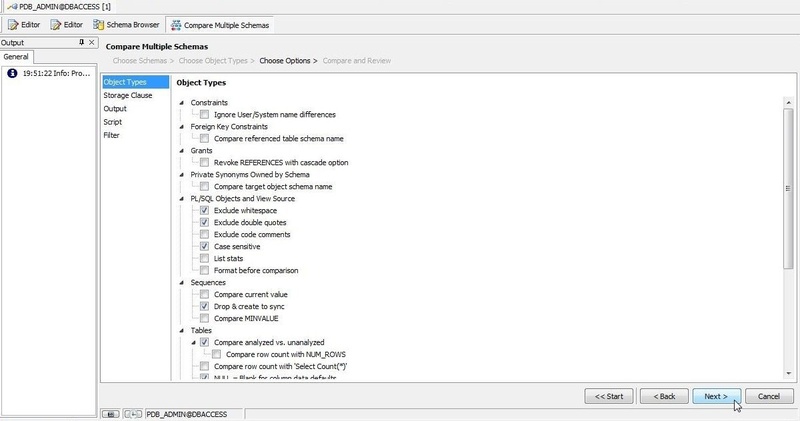 When comparing tables the minimum of two tables must be selected for comparison; one on a source schema and the other in the target schema, with the source and target schemas being different. Multiple comparisons may also be made by selecting multiple pairs of tables. To compare two or more tables select Database>Compare>Multiple Tables as shown in Figure 13. 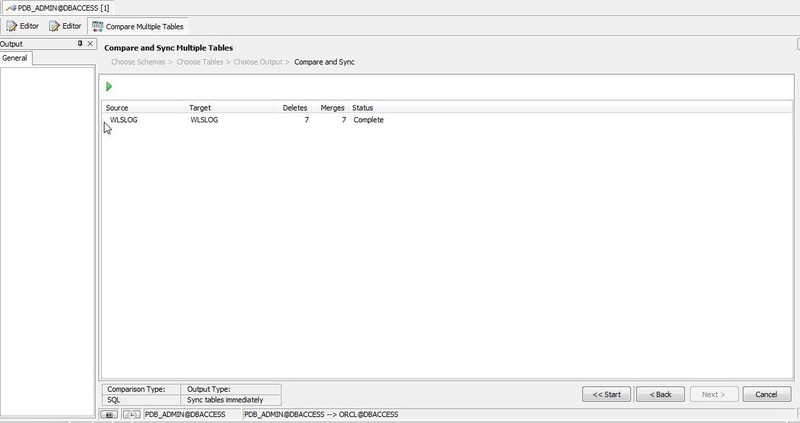 The Compare and Sync Multiple Tables wizard gets started. First, choose schemas. 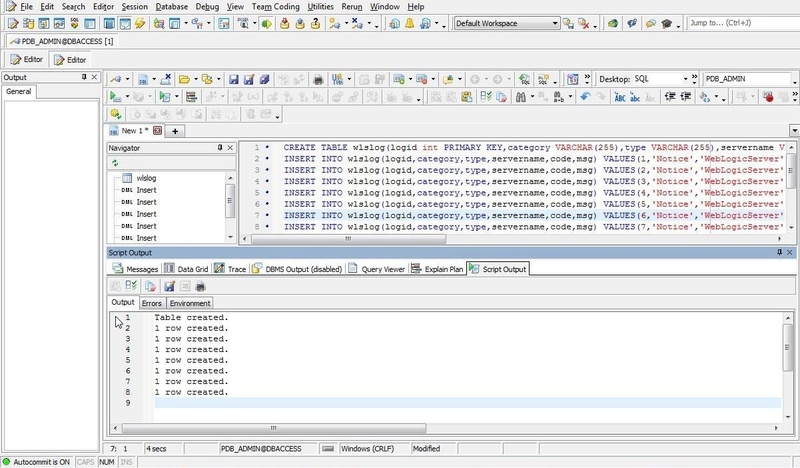 Select Source schema as PDB_ADMIN and Target schema as ORCL as shown in Figure 14. The Options tab displays the different options for table comparison, as shown in Figure 15. By default if columns don’t match exactly, the table is skipped and not compared. By default if a table contains unsupported datatypes the table is skipped. 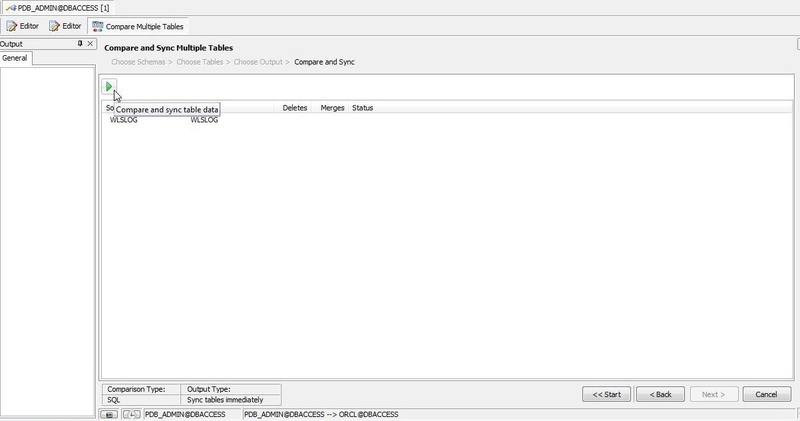 By default if any table is to be skipped, only the incompatible tables are skipped. 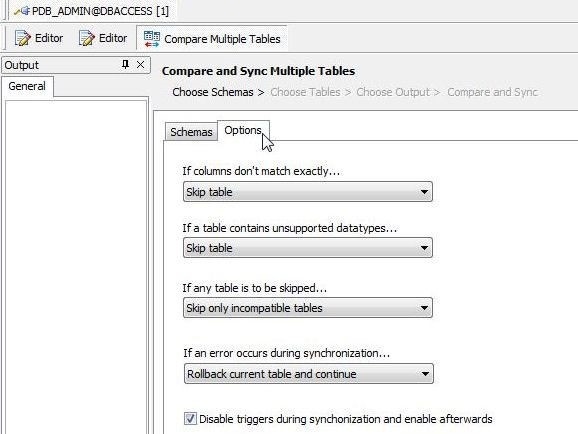 By default if an error occurs during synchronization, the current table is rolled back and the comparison continues. Any or all of these options may be modified. We have kept the default settings. Click on Next as shown in Figure 16. Next, choose tables, as shown in Figure 17. Choose both the Source and Target tables as WLSLOG. Click on Next. 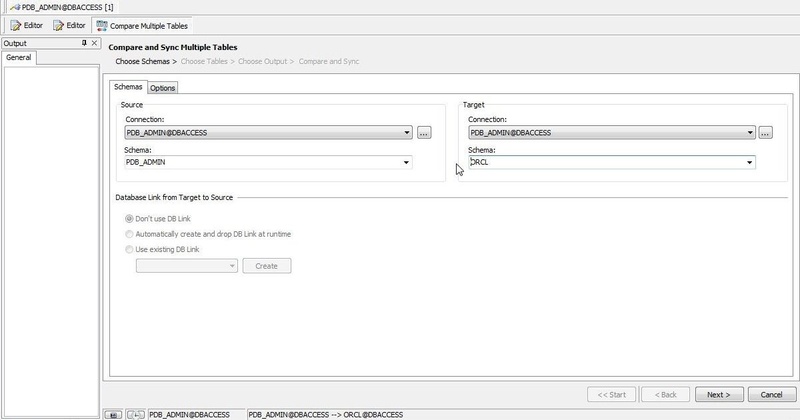 Select the option Create the script for each table as shown in Figure 18 and select the output folder with the selector (…) button. Click on Next. 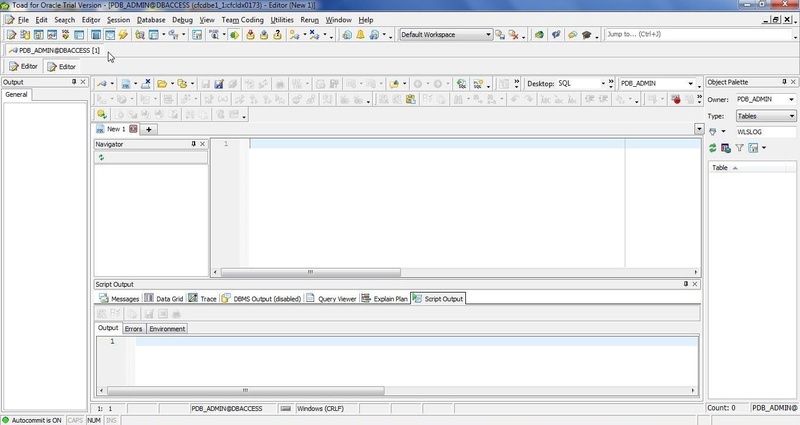 Click on Compare table data and create sync script as shown in Figure 19. 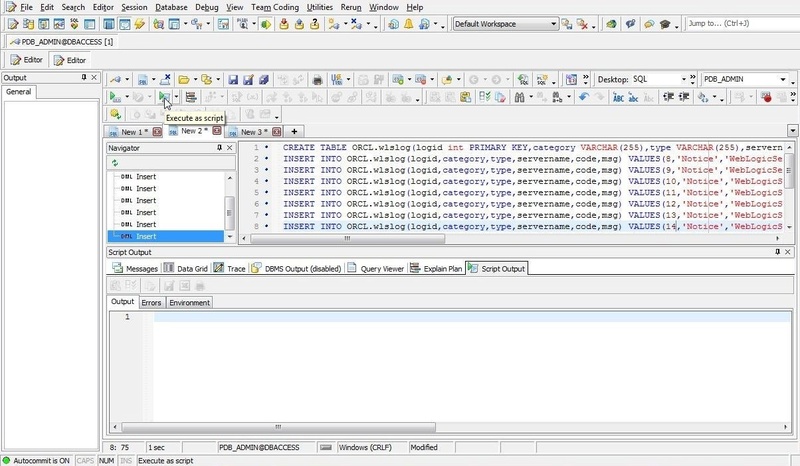 The comparison gets completed and a sync script gets created, as shown in Figure 20. The comparison output sync scripts are shown in Figure 21. The MasterScript.sql shown in Figure 22 is the Table data synchronization script. The WLSLOG.sql script is invoked from the MasterScript. The MasterScript must be run by a user to synchronize the tables. 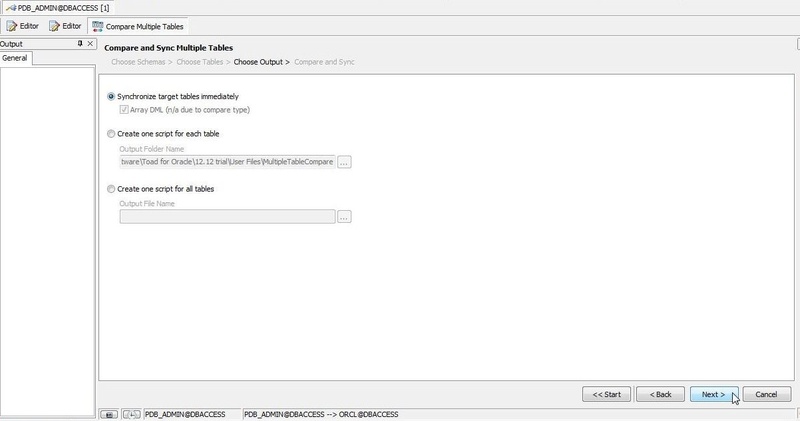 If the tables being compared are to be synchronized automatically select Synchronize target tables immediately option in Choose Output as shown in Figure 23. 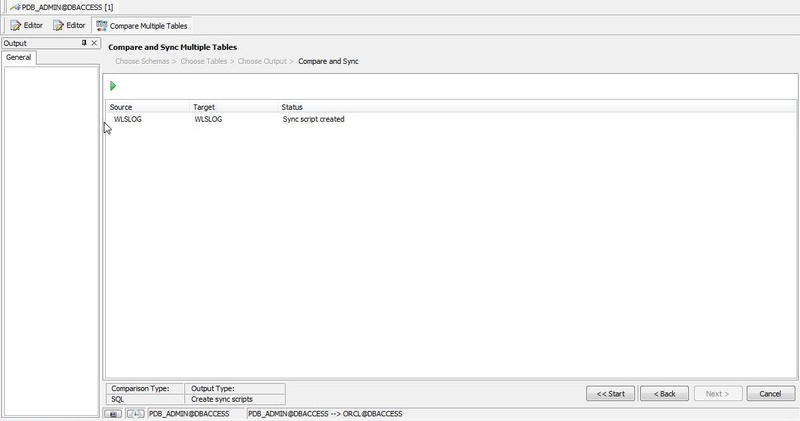 Click on Compare and sync table data as shown in Figure 24. The table comparison gets completed and the tables get synchronized, as shown in Figure 25. Similarly, data, databases, and schemas may also be compared. To compare schemas select Editor>Compare>Multiple Schemas as shown in Figure 26. Multiple Schemas compares two or more schemas. 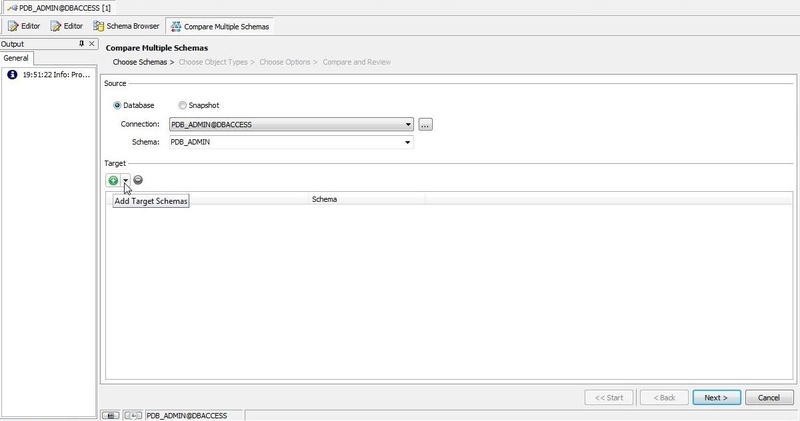 To compare only two schemas select Editor>Compare>Schemas. 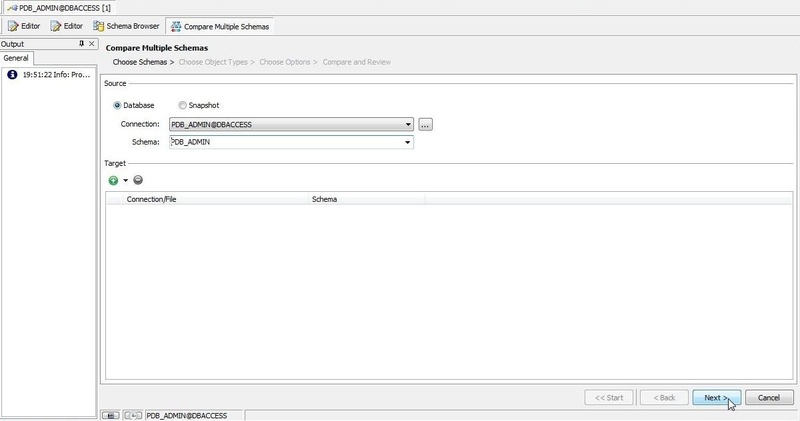 In the Compare Multiple Schemas wizard the Source schema could either be a Database or a Snapshot. Select the PDB_ADMIN schema, which is also the default selection, as shown in Figure 27. Click on Add Target Schema to select the target schema as shown in Figure 28. 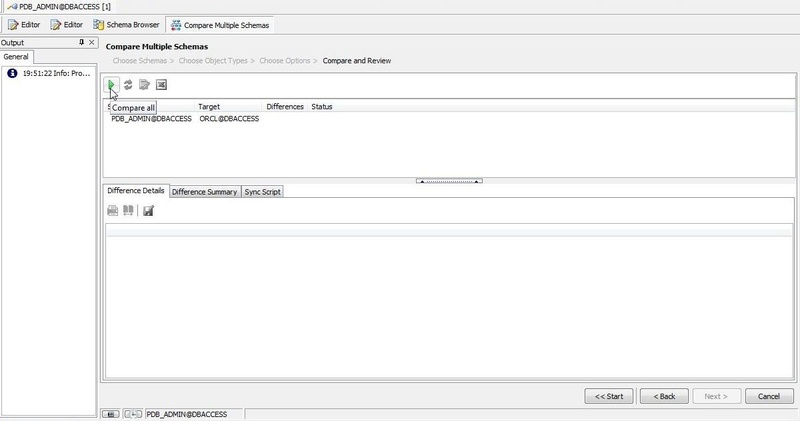 From the drop-down select Add one schema as shown in Figure 29. The other option is Add multiple schemas. 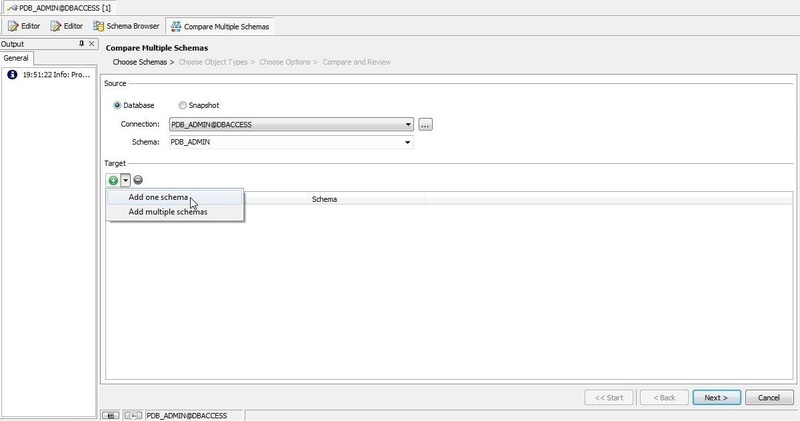 In Add Schema select the ORCL schema as shown in Figure 30 and click on OK.
With the Source and Target schemas selected click on Next as shown in Figure 31. 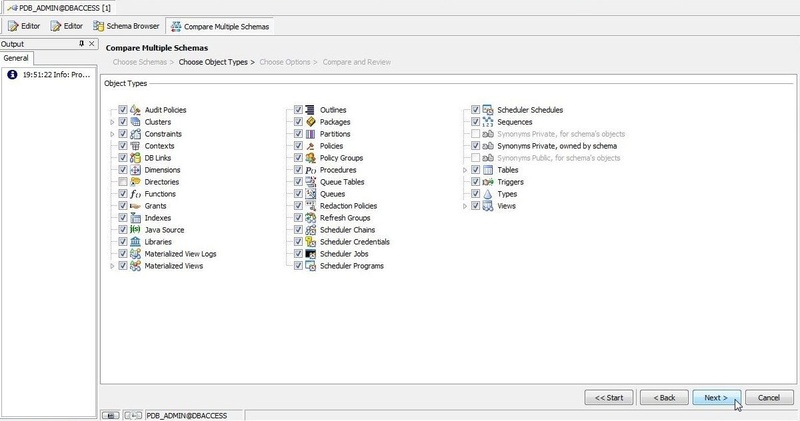 Next, Choose Object Types as shown in Figure 32. Keep the default settings and click on Next. Next, Choose Options as shown in Figure 33. In Compare and Review click on Compare all as shown in Figure 34 to start the schema comparison. 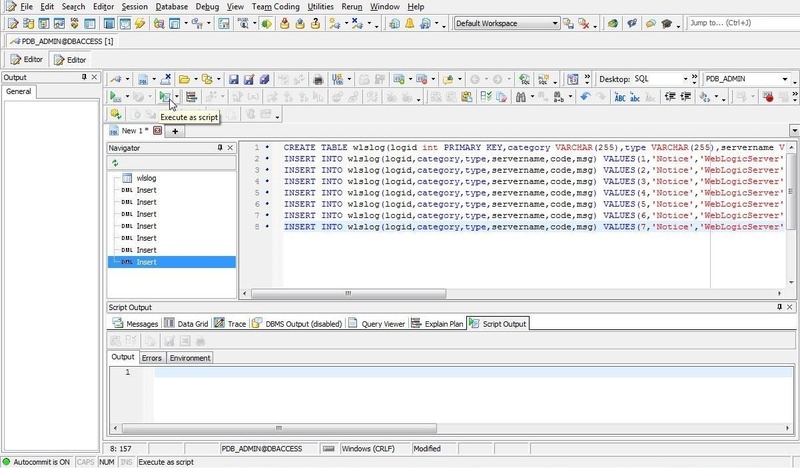 In this second of three articles we discussed connecting to Oracle Database Exadata Express Service with Toad for Oracle. We also compared database tables from two different schemas and also discussed comparing schemas. 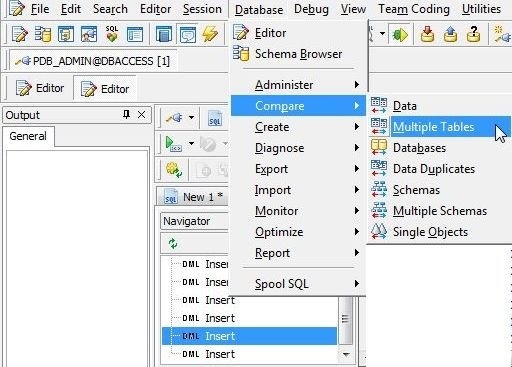 In the third article we shall discuss some of the other features of Toad for Oracle that could be used with Oracle Database Exadata Express such as finding Data Duplicates, using Schema Browser, exporting dataset to HTML and running a Query.